The university and the community group behind the search, Hyde900, are now calling for further excavations at Hyde Abbey Gardens in the hunt for more remains. Experts said the bone, recovered from the site of the abbey, came from a man who was aged between 26 and 45-plus at the time of his death, leading them to believe it could be either Alfred or his son Edward. 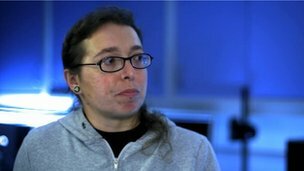 Dr Katie Tucker, whose examination of the bones will feature in a BBC documentary, said: "These are the bones that were found closest to the site of the high altar. "As far as we know, from the chronicles and the records, the only individuals close to the site of the high altar who are the right age when they died and the right date when they died would either be Alfred or Edward." The remains at St Bartholomew's Church, which carbon dating showed to be from the wrong era, were exhumed last year amid security fears after publicity surrounding the discovery of Richard III's remains under a Leicester car park. Dr Tucker said she was later made aware of the remains found at Hyde Abbey. No analysis of that find was conducted due to a lack of funding and because a bone discovered next to it was found to be from the 17th or 18th century, and it was not thought to be of any interest. Dr Tucker then arranged for tests to be carried out on the pelvic bone. She said: "The simplest explanation, given there was no Anglo-Saxon cemetery at Hyde Abbey, is that this bone comes from one of the members of the West Saxon royal family brought to the site. "Given the age at death of the individual and the probable male identity, the plausible candidates are King Alfred, King Edward the Elder, or the brother of King Edward, Aethelweard." Richard Buckley, co-director of the University of Leicester's archaeology services, led the search for Richard III. 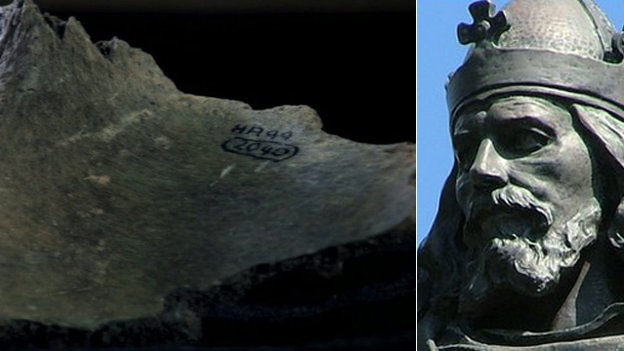 He said it would be "very hard to prove" the bone belongs to King Alfred. "With Richard III we had to build a case with lots of different threads, we knew historic accounts... including trauma on the skeleton, we knew he died a violent death," he said. "We got to the point with the balance of probability that it was him, with the DNA it meant we could say it was beyond reasonable doubt. "The difficulty with this bone is that it is only one bone, you're having to rely on historical accounts of only two males being brought and reburied there - Alfred and his son - it depends if any males may have been buried without documentation. "If they could find an articulated skeleton there could be other clues." The King Alfred team said it may be possible to extract DNA from the pelvic bone but the problem would be finding another DNA source to check it with. Dr Tucker said they tried to get a sample from Alfred's granddaughter, who is buried in Germany, but efforts failed as her grave was not well preserved. The investigation is the subject of a BBC2 documentary due to be broadcast on Tuesday 21 January at 21:00 GMT. The Queen's granddaughter Zara Tindall has given birth to a baby girl weighing 7lbs 12oz (3.5kg). 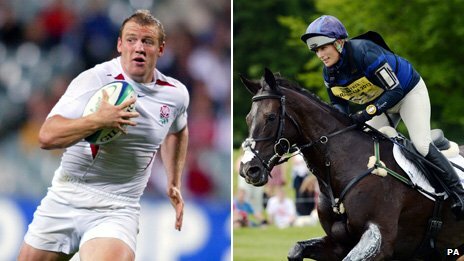 Mrs Tindall's husband, rugby player Mike Tindall, was present at the birth of their first child at Gloucestershire Royal Hospital. The Queen, the Duke of Edinburgh and the families of both parents were all delighted at the news, Buckingham Palace said. The baby, as yet unnamed, becomes 16th in line for the throne. Mrs Tindall later left the hospital and returned home. Her husband expressed his joy on Twitter: "Thanks so much for all your kind messages. Definitely the best day of my life today, so happy! The girls are both doing great!" In another tweet, he praised hospital staff, writing: "Big thanks to all involved at Gloucester Royal, they were fantastic!" Mr and Mrs Tindall were married at Canongate Kirk in Edinburgh in July 2011. The new arrival is the third grandchild of the Princess Royal and her first husband, Mark Phillips - and the Queen and Prince Philip's fourth great-grandchild. The birth follows that of Prince George in July last year to the Duke and Duchess of Cambridge. In a statement, the Queen's press secretary said: "The Queen, The Duke of Edinburgh, The Princess Royal, Captain Mark Phillips and Mike's parents, Mr Phillip and Mrs Linda Tindall, have been informed and are delighted with the news. Prime Minister David Cameron said: "It's wonderful news and I'm absolutely delighted for the couple. I know them a little and I know they'll be absolutely devoted and delighted parents, so happy news all round." BBC Royal correspondent Peter Hunt said the couple had chosen an NHS hospital, the Gloucestershire Royal, for the birth. Mrs Tindall, 32, does not hold a royal title and is not referred to as Her Royal Highness. Her daughter will be known as Miss Tindall. The new parents met during England's Rugby World Cup-winning campaign in Australia in 2003. Mr Tindall, 34, a former England rugby star, is now a player-coach at Gloucester. His wife has achieved sporting success in her own right - where she still competes under the name Zara Phillips - winning individual gold in three-day eventing at the World Equestrian Games in Germany in 2006. As a member of the Great Britain eventing team she won a silver medal at the London 2012 Olympics. She is planning to take part in the next Olympic Games, which will be held in Rio in 2016.